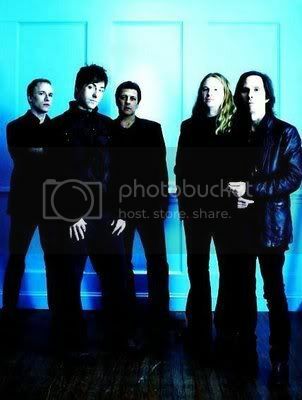 Former JOURNEY lead singer and songwriter Robert Fleichman - who recently signed with Winogradsky/Sobel - has announced tour dates with his new band THE SKY. The band will debut live on November 17th/18th at the Oriental Theater in Denver, Colorado. Best known as the former lead singer of the group Journey between the albums Next and Infinity, Fleischman was with the band for about nine months in 1977, contributing his song writing skills and vocal performances, but never actually recording any albums with the band. He co-wrote one of Journey’s first charting songs 'Wheel In The Sky' (#57 Billboard), in addition to 'Anytime' and 'Winds Of March'. The Sky is: Robert Fleischman (vocals), Andre Labelle (drums), Brady Cole (guitar), Stephan Lajaunie (guitar), Steve Barber (bass). For more details visit Theskyofficial.com.